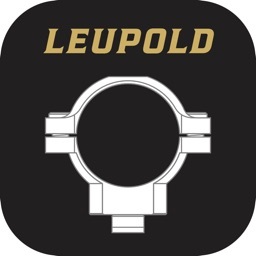 AccuScope Standard by Calculations Made Simple L.L.C. by Calculations Made Simple L.L.C. 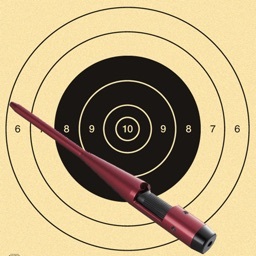 AccuScope® - The most innovative scope sight-in reference tool introduced in years. 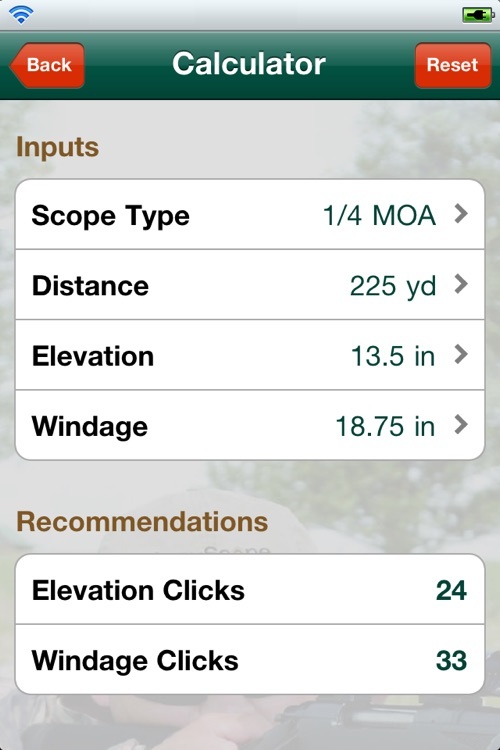 The AccuScope App was developed to take the guess work out of sighting in scopes and will automatically calculate the number of adjustment increments needed to accurately sight in your scope. 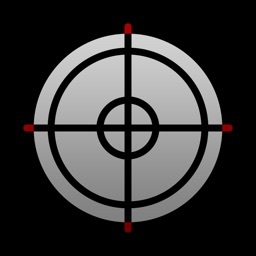 The easy to use App gives you the exact number of "clicks" to get your scope dialed in quickly and accurately in just a few shots. For initial Sight-In or In the Field Adjustments, AccuScope will get you "On-Center". Gone are the days of wasted ammunition, expensive boresighters, and your valuable time associated with precisely sighting in your scope. 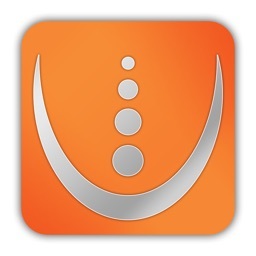 The AccuScope App comes in two different versions. The Premium version was designed for any MOA, Metric or MilRad Scopes and any unit of measurement – Yards, Meters, Inches, Centimeters and Millimeters. 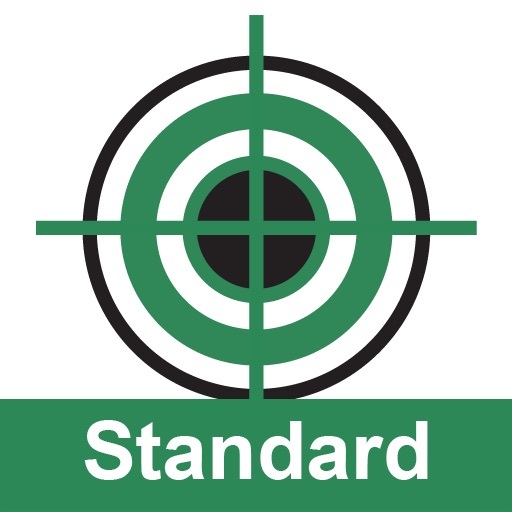 The Standard version is identical to the Premium version, except it is dedicated to 1/4 MOA scopes. Given your scope’s MOA or Calibration number, your Shooting Distance, and pre-gathered Elevation (up/down) and Windage (left/right) off-center distances, AccuScope will "automatically" calculate the number of adjustment dial "clicks" needed to accurately sight in your scope. AccuScope works with all Ammunition. It does not matter whether it is a Rifle, Shotgun, Muzzleloader or Pistol. 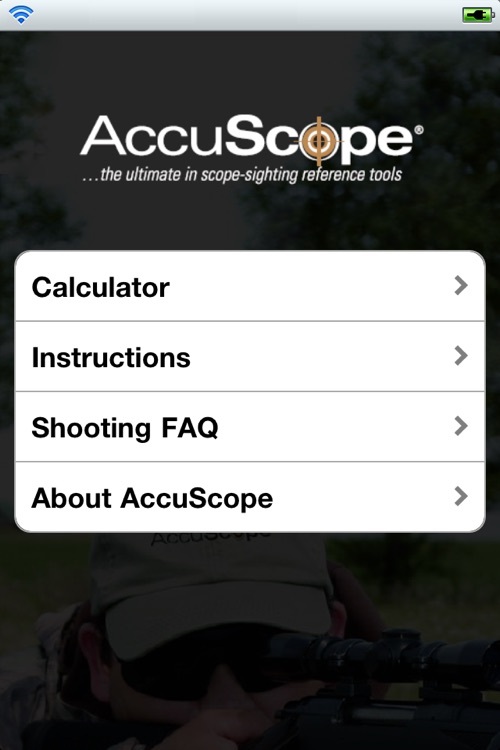 The AccuScope App will save you Time, Ammunition and Confusion. Purchase AccuScope® today and get the ACCUSCOPE® ADVANTAGE!